[New York, NY – December 12, 2017] Grammy® Award-winning singer/songwriter Miguel debuts at #1 on the Billboard R&B Albums chart with his critically acclaimed album War & Leisure. 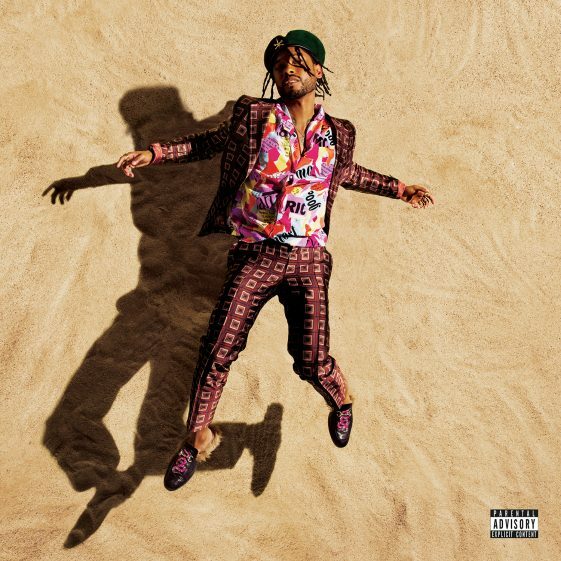 Hailed by Paper magazine as “the ultimate mixer of R&B, funk, electronic, pop and rock…, perhaps his most dynamic and upbeat album yet,” and Time magazine as “a statement about seeking refuge from the world in the comforts of love,” War & Leisure also claims the #9 spot on the Billboard 200 chart. Released December 1 via ByStorm Entertainment/RCA Records, War & Leisure marks Miguel’s third #1 debut on the Billboard R&B Albums chart. The mesmerizing 12-track project is a meditation on the duality of our times that Miguel has described as his “most upbeat” album, equipped with features from J. Cole, Rick Ross, Travis Scott, Kali Uchis, Salaam Remi, and QUIÑ. Rolling Stone calls the album “…a space where psych-funk splendor coexists with deep anxiety,” while Entertainment Weekly explains that Miguel “… is as sensual as ever on his lush fourth album, which continues his inspired fusion of genres ranging from R&B to rock to electronic music.” Miguel’s first single “Sky Walker” featuring Travis Scott has garnered over 100M streams worldwide making it RIAA Certified Gold. In support of the release, Miguel will embark on a 35 date War & Leisure Tour, kicking off February 22nd in Portland, Oregon, hitting major markets in the US and Canada throughout the Spring and concluding on April 12th in Berkeley, CA. TDE’s SiR & NonChalant Savant will join Miguel on the road as opening acts for all North American dates. Tickets are currently on sale and VIP packages (and VIP upgrades) can be ordered at officialmiguel.com. Every online pair of tickets purchased includes one physical or digital copy of War & Leisure.